Trained Nurses Association of India organized Group Recruitment to oxford University Hospital for Nurses in Delhi. 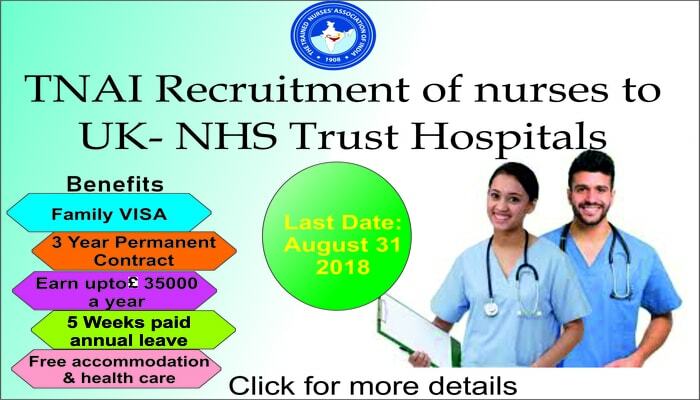 Candidate with minimum 12 months of Hospital experience. Degree/Diploma Certificate and Mark card. State Nursing Council Registration Certificate. IELTS (Academy) OET score sheet.